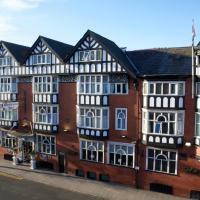 Cheshire Hotels in the Shire of Cheshire England. Cheshire is a county in northwest England, known for its rural villages of half-timbre and local red sandstone buildings. City of Chester UK. In the English county of Cheshire. 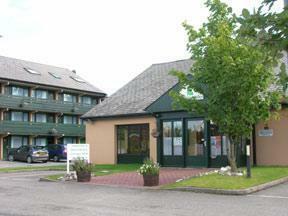 Accommodation Local Hotels found in Cheshire. 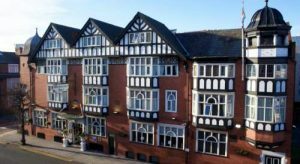 Just 100 metres from Chester Rail Station, the Westminster has free Wi-Fi and a contemporary bar. A grand, wooden staircase and a stained glass window are features of the Best Western. 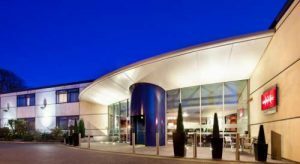 Double Room booked today at 15:54 from United Kingdom for £ 78.20 (1 night). Whether you’re lucky enough to live in Chester or you’re just looking for a reason to visit then visit www.experiencechester.co.uk to discover what’s on, where to shop, and how to plan your day in our compact walled city centre to create a unique and memorable experience. Foodies, families, shoppers, history lovers and everyone in between will find ideas and advice on ways to experience Chester’s many and varied highlights all in one place. Imagine this English Shire it’s setting of pastoral peacefulness, of traditional farming and numerous country events, Cheshire borders the North West of England and West Midlands to the east, and northern Wales to the west. According to archaeological discoveries, the region has been inhabited since the Hoxnian Interglacial and was in turn occupied by Celts, Romans, Anglo-Saxons and Normans, much like its neighbouring territories. It was originally known as the County of Chester, which was later changed to Chestershire and gradually evolved into its current form. Today it is known as a ceremonial county, which differs from others in terms of local administration. Cheshire is a low, predominantly rural area, known for the prevalence of agricultural activities. Once shaped by the retreat of glaciers, its landscape boasts wide pastures and mineral resources, such as sandstone and salt. The county is currently divided into four administrative constituencies known as unitary administrative areas: Cheshire West and Chester, Cheshire East, Warrington and Halton. Cheshire’s progress through the ages abounds in political struggles and territorial changes. During Norman occupation it included areas which are now part of Wales; overtime parts of it were also transferred to Lancashire, Merseyside and Greater Manchester. Its Roman heritage is mainly centred in Chester, which was an important outpost of the Roman Empire for two centuries, referred to as Castra Deva, roughly translated as ”fortress on the River Dee”. Many of Cheshire’s castles were built during the Norman occupation, which was also a time of substantial economical growth as many towns were granted market status. Since then, agriculture has remained the area’s most lucrative source of revenue. Internationally, the county is well known for its history and local produce (particularly dairy products such as Cheshire cheese, considered of superior quality compared to many varieties across the UK). Also, it is commonly associated with the famous Cheshire cat, a charismatic fictional character in ”Alice’s Adventures in Wonderland”, written by Lewis Carroll, who originated from Daresbury. In addition to intense and comprehensive agriculture, the region has got a rich industrial heritage, notably producing high quality silk and cotton. Moreover, it is home to many traditional events all year round (such as food and drink festivals), which, besides engaging local communities, are often attended by foreign visitors as well. Today, Cheshire is somewhat more affluent than other areas in its vicinity, as the housing market and economical analyses have steadily confirmed. 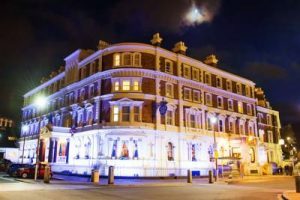 Tourism is also prominent, with a variety of heritage tours being organised around the county’s many historic sites, particularly in Chester. Sightseeing tours are also popular due to the appeal of its vast rural landscapes. Its churches and cathedrals, some built as far back as a thousand years ago, regularly enjoy a large number of visitors as well. Take A Break Holidays takeabreakholidays, Accommodation.